We had been trying for last 1 year and had even started medication. 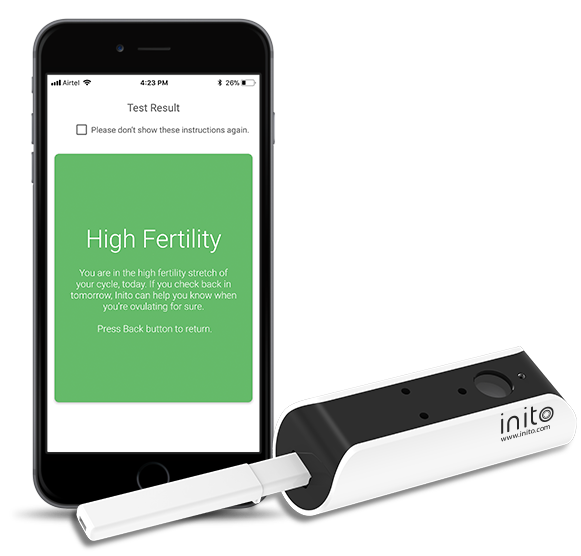 Now, just with some exercise and proper usage of the Inito Device for last 3 months, we got the good news. It very useful to track the ovulation and basically know the exact fertile dates and it is very easy to use. We liked the app also. I believe this product is a great deal at such a reasonable price. Copyright 2019. Samplytics Technologies Private Limited. All Rights Reserved.